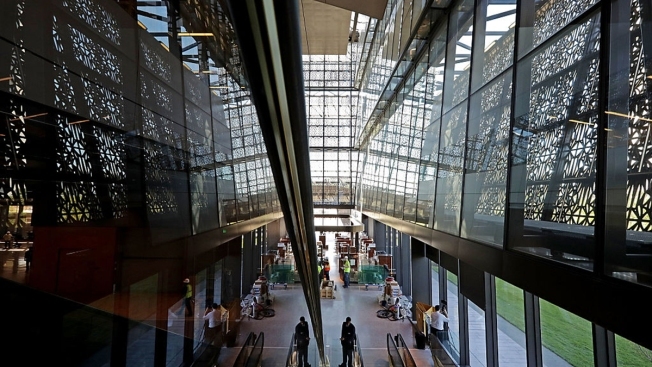 This weekend marks the official opening of the Smithsonian's new National Museum of African American History and Culture, located on the National Mall at 1400 Constitution Ave. NW. But the museum's long-anticipated opening will bring with it road closures and large crowds. During the dedication ceremony Saturday morning, there will be no public or bus parking near the museum, meaning you'll need to explore other options. The Circulator's National Mall route will provide special service on Saturday and Sunday for those attending the museum opening. For maps of these modified routes, go here. Try to avoid the stops closest to the museum, Smithsonian and Federal Triangle, which are likely to be very busy. Instead, consider walking from other nearby stations, such as Archives-Navy Memorial-Penn Quarter, Gallery Place-Chinatown, Metro Center or McPherson Square. While these are a 15- to 20-minute walk away, they may not be as crowded. Just remember that Metro's Safety Surge #9 is underway, which affects Orange Line riders traveling from Northern Virginia. With lots of locations around the D.C. area, Capital Bikeshare is another option. However, keep in mind that they may fill up fast. Depending on where you're coming from, taking a taxi, an Uber or a Lyft will get you close to the museum -- just don&'t forget about traffic and road closures. Both Uber and Lyft offer credit toward your first ride if you've never used their services before.